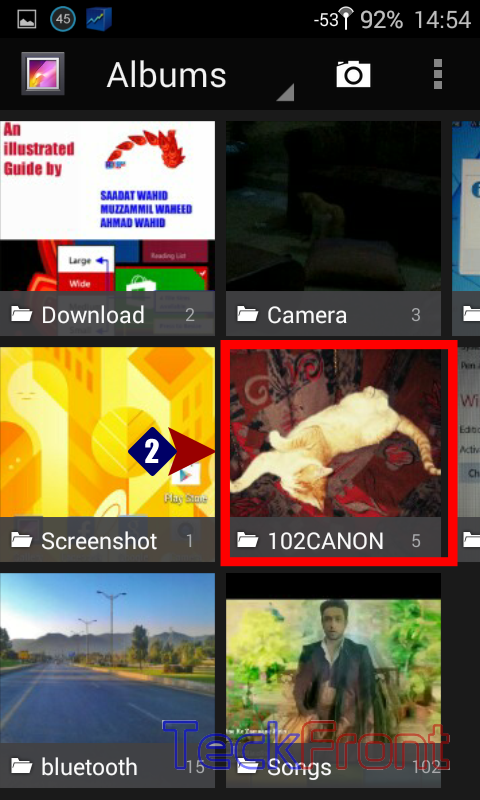 How to Set Pictures From Gallery as Wallpaper in Android KitKat 4.4 Phone? It is a human nature to remember nice and beautiful moments. 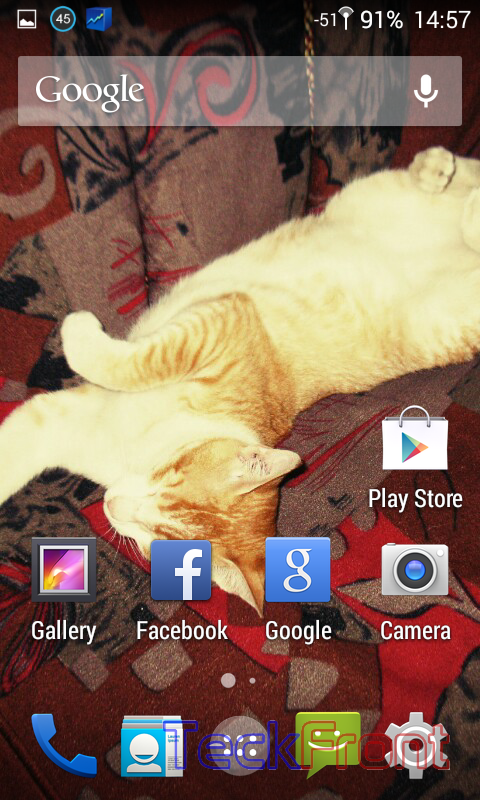 The best way to remember the nice moments is to set it as wallpaper on Home screen. Now Android has made it easier to adopt the image as the wallpaper. 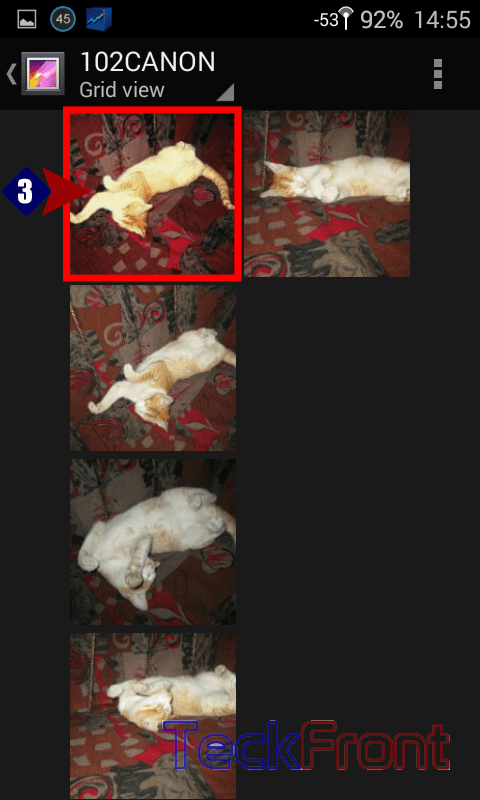 1: Tap ‘Gallery’ to open the images. 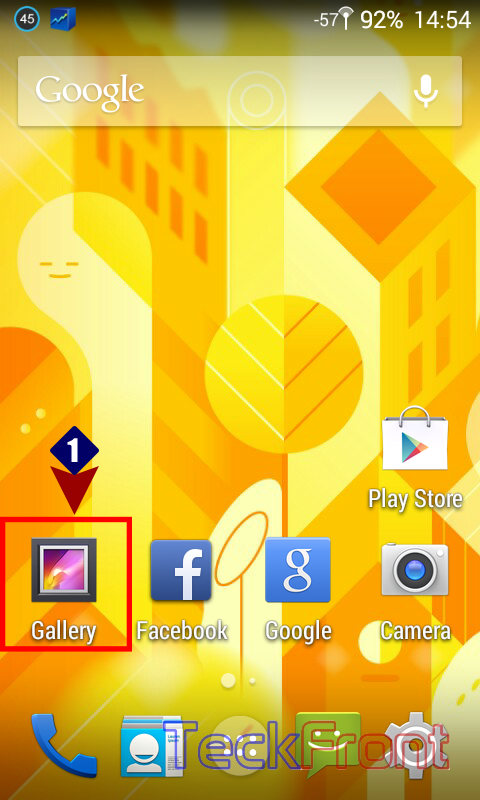 2: Tap the folder from where you want to take image to be set as the wallpaper. 3: In the folder, tap the image which you want to add as wallpaper. 4: Tap the settings button, available at the top right corner of the screen. It will open up a popup menu. 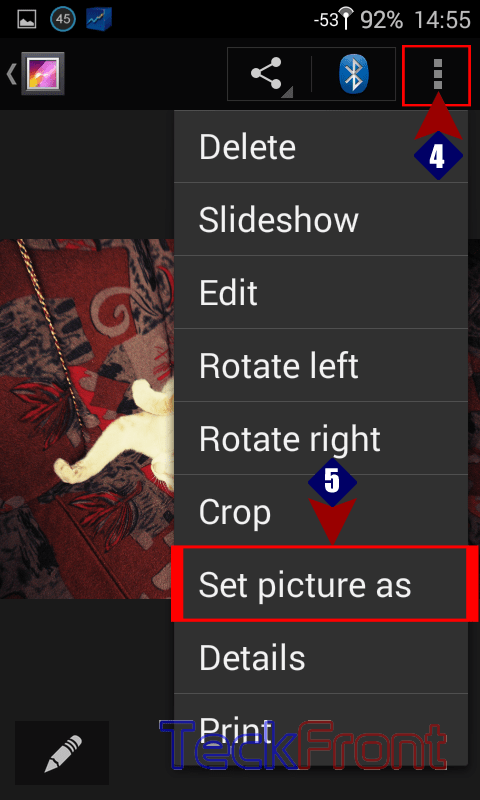 5: In the popup menu, tap the ‘Set picture as’. It would open up a prompt, displaying the ‘Set as’ with 3 items in it: ‘Contact photo’, Wallpaper’ and WhatsApp profile photo’. 6: Tap ‘Wallpaper’. It will open up a picture which you want to set as your wallpaper. 7: Tap the ‘Set wallpaper’ instructions, given at the top of the picture. It will set the image as the wallpaper. 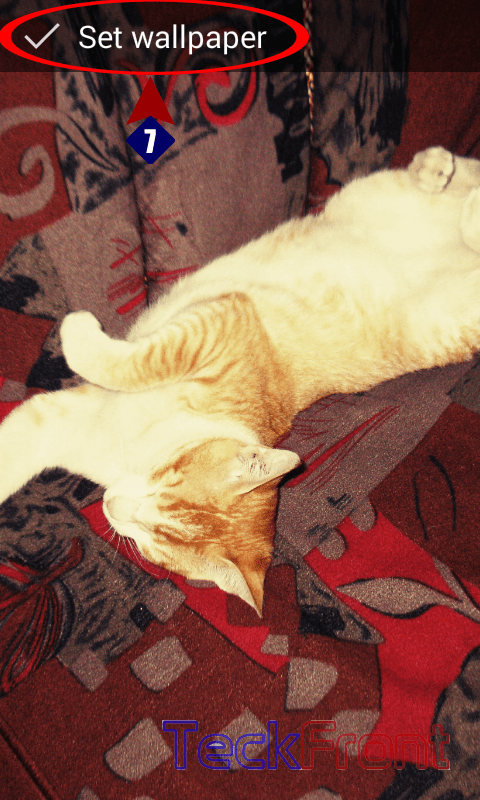 8: See the picture selected by you has been set as the ‘Wallpaper’. That’s all! Newer How to Show Clock on Status Bar of Android KitKat 4.4 Phone, Quickly? 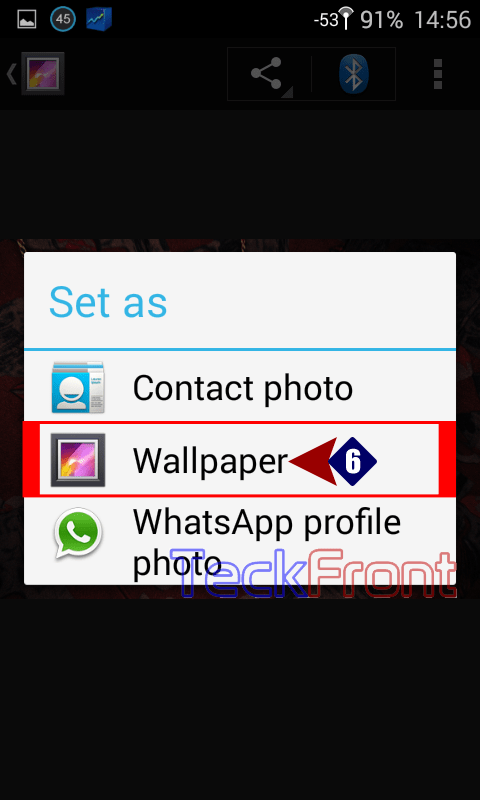 Older How to Set Wallpaper of Android KitKat 4.4, Quickly, From Home Screen?